Dr. Perez is a board-certified, fellowship-trained podiatric foot and ankle surgeon specializing in sports-related injuries, total ankle replacement, ligament and tendon repair/reconstruction, minimally invasive arthroscopic techniques, complex/revisionional deformity correction, bunions and hammertoes, arthritis, neurologic conditions and trauma to the lower extremity including fracture care. After a bachelors degree in Exercise Physiology from the University of Florida, he completed his medical training at Temple University School of Podiatric Medicine followed by surgical residency at Dekalb Medical Center in Decatur, Georgia as well as the University of Pennsylvania Health System in Philadelphia. 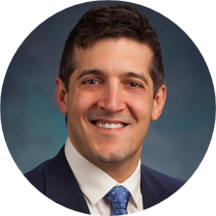 He subsequently completed the Pennsylvania Intensive Lower Extremity Fellowship with advanced training in adult and pediatric foot and ankle reconstruction, total ankle replacement and management of acute and chronic complex foot and ankle trauma. Dr. Perez is a Fellow of the American College of Foot and Ankle Surgeons. He has presented at multiple national meetings and currently serves as a manuscript reviewer for the Journal of Foot and Ankle Surgery. As a native of Jacksonville, Florida, Dr. Perez enjoys international travel, hiking, cooking as well as spending time with his wife and daughter.